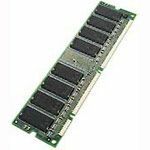 The HYS 64(72)8200 and HYS 64(72)16220 are industry standard 168-pin 8-byte Dual in-line Memory Modules (DIMMs) which are organized as 8M ´ 64, 8M ´ 72 in 1 bank and 16M ´ 64 and 16M ´ 72 in two banks high speed memory arrays designed with 64M Synchronous DRAMs (SDRAMs) for non-parity and ECC applications. 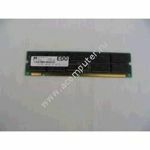 The DIMMs use -8 and -8B speed sort 8M 8 SDRAM devices in TSOP-54 packages to meet the PC100 requirement. Modules which use -10 parts are suitable for PC66 applications only. Decoupling capacitors are mounted on the PC board. The PC board design is according to INTEL’s PC SDRAM Rev. 1.0 module specification. The DIMMs have a serial presence detect, implemented with a serial E2PROM using the two pin I2C protocol. The first 128 bytes are utilized by the DIMM manufacturer and the second 128 bytes are available to the end user. All SIEMENS 168-pin DIMMs provide a high performance, flexible 8-byte interface in a 133.35 mm long footprint, with 1.25“ ( 31.75 mm) height.